Sola 5 is an association of God centered churches in Southern Africa. The association exists for the mutual encouragement of likeminded churches (Baptist and Reformed), for the promotion of missions (through church planting) and theological education. The highlight of our association is our annual conference. Each year the conference aims to take place in a different country and province. This year we have met in Harare, Zimbabwe, under the auspices of the Harare Reformed Baptist Church and its pastor Joseph Soko, greatly assisted by Jeff Gage and the Free Grace Baptist Church in Boksburg, South Africa. Zimbabwe has been (and still is) going through trying political times. Many of our people there are unemployed and struggle make ends meet. And yet we thank God, that despite all their difficulties, this church had invited us all to meet with them. I for one was glad to have been there. Eighteen of our twenty-one member churches were present, whilst 5 new churches sent delegates. We trust that in time these churches would join our association. We estimate that about 200 people attended the conference at times. We met over 4 days to hear the Bible preached, to hear mission reports, to attend to a few “business” matters and to spend time in close fellowship. The association is directed by a steering committee, whose members serve for a term of two years. The steering committee meets three times a year. Christo Beetge was re-elected as chairman for the current year, with Hein Strauss continuing as our secretary. The other steering committee members at present are Bheki Macwele (Swaziland), Kobus van der Walt (SA), Roland Eskinazi (SA), Peter Sammons (SA), Ronald Kalifungwa (Zambia), Grave Singogo (Zambia), Conrad Mbewe (Zambia) and Joachim Rieck (Namibia). 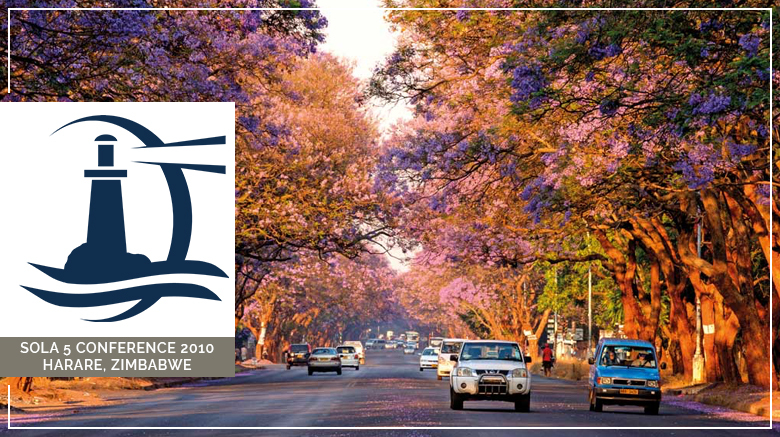 Our next Sola 5 conference (2011) will be held in Livingstone (Zambia) in close proximity to the great Victoria Waterfalls! This location should prove to be a great attraction for many. We urge you to make plans now to be there. Future conferences are planned for Swaziland (2012) and Namibia (2013).